What are the Advantages of a Leather Chair? Leather chairs tend to be durable and comfortable, requiring little maintenance. Some leather chairs come equipped with features that allow a person to be massaged while sitting in the chair. Leather chairs are durable and easy-care furniture option. Leather furniture has been highly coveted for generations because of its durability, attractiveness, and ease of care. In the past, the scarcity of leather made the cost of owning a leather chair prohibitive to many. In the late 20th and early 21st centuries, however, the supply of leather has become so plentiful that the cost of leather furniture is now on par with other furniture. Despite its affordability, it maintains the advantages — the durability and attractiveness — it's had all along. Many people chose leather chairs because they easily blend into most decorating schemes. A majority of leather furniture is traditionally brown, black, or tan. These neutral colors are extremely versatile and unlikely to visually clash with most decor. Cloth upholstery is often patterned and can become dated as decorating trends come and go. Leather is frequently a solid color and suffers less from this phenomenon. Additionally, many leather chairs have a simple design and are free of unnecessary adornment. If well-maintained, it is often difficult to tell how old a leather chair is. Caring for a leather chair is normally relatively simple. Leather upholstery is generally water-resistant. Liquids bead on the surface rather than soaking into the fabric, and accidental spills can often be easily wiped away without staining the leather. This makes leather chairs a good seating choice for offices where staff often drink coffee and other beverages while working. Leather is prized for its resilience in products that take a lot of abuse. The same durability that makes it the frequent choice for boots, saddles, and luggage also makes it a good choice for furniture upholstery. 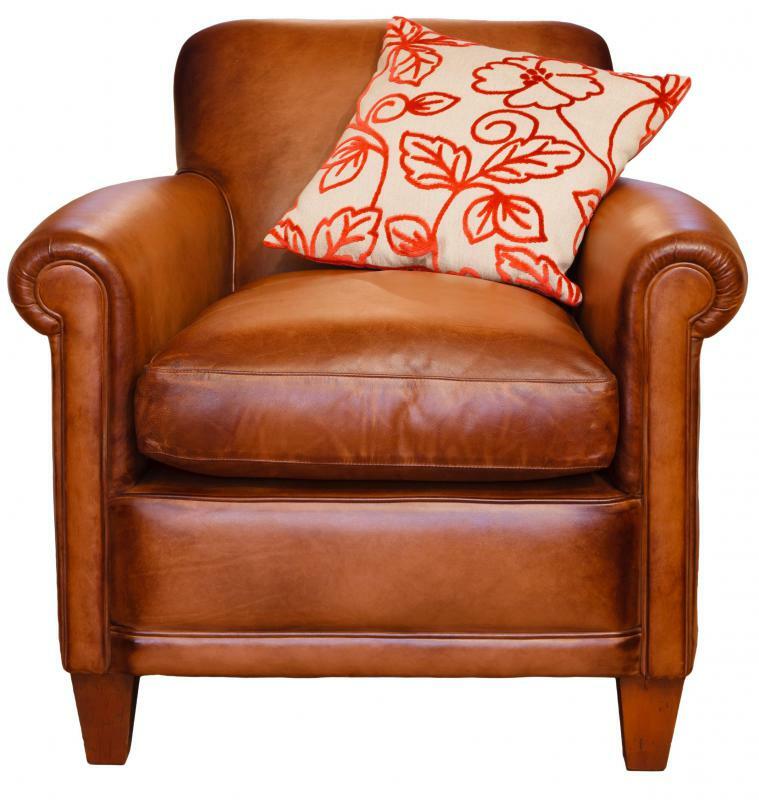 A leather chair is typically going to be able to endure everyday use longer than chairs upholstered with fabric. Unlike many other materials, leather rarely loses its color. A leather chair can commonly tolerate direct sunlight without fading even when exposed to large amounts of sunlight. Leather seating is often recommended in a room with numerous windows and a great deal of natural light. Leather chairs have a reputation for comfort. The material is usually soft and flexible, and a great many leather chairs are well-padded to take advantage of that. Body heat warms leather and, as it warms, the fabric molds around the body like a glove. Like leather shoes, a leather chair commonly becomes more comfortable with frequent use. In the past, leather furniture was often the most expensive choice and was, therefore, considered a luxury. Even though a leather chair is now comparable in cost to other choices, that reputation remains. Leather executive chairs can radiate an air of success and executives who see clients in their offices often choose them for that reason. Furniture manufacturers have noted the desire for luxury in leather furnishings and have responded by making chairs with a host of optional features. Leather chairs often recline, rock and swivel. 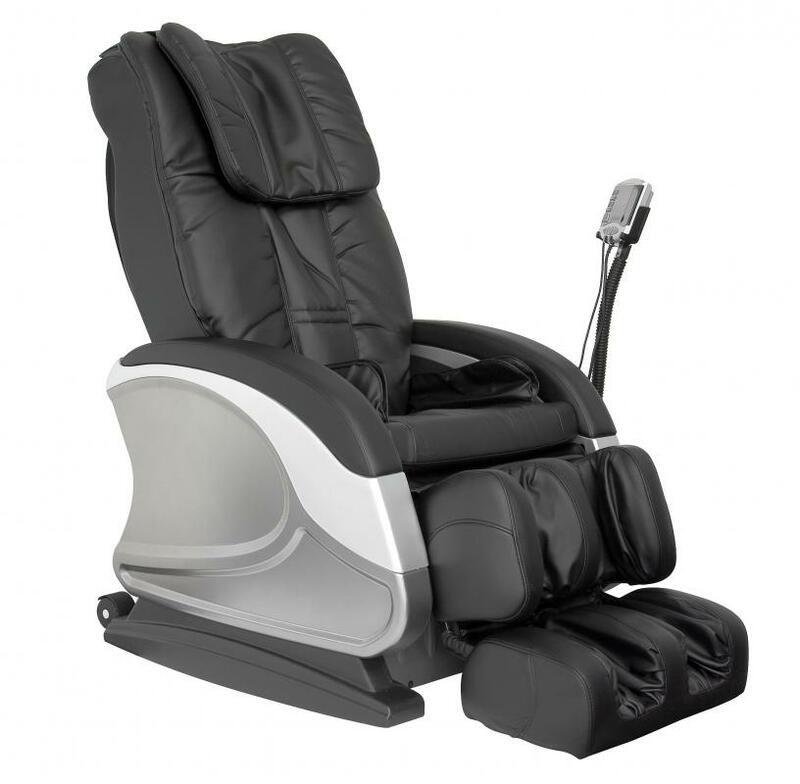 The most intrepid consumers can also be massaged, vibrated and warmed while comfortably seated in a leather chair. How Do I Choose the Best Bonded Leather Chair? How do I Care for a Distressed Leather Sofa? How do I Choose the Best Leather High Back Chair? How do I Choose the Best Leather Club Chair? How do I Choose the Best Leather Accent Chair? 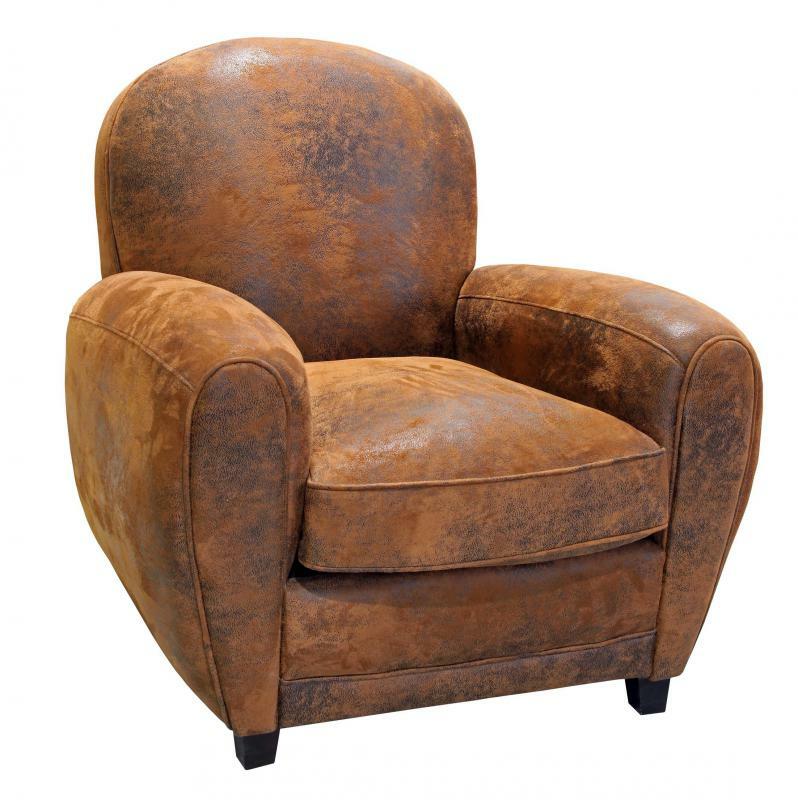 How do I Choose the Best Leather Wing Chair? What Features Should I Look for in a Leather Rocking Chair?